Discover how safety technology can change momentum. In this printable, students will apply their knowledge of physics to answer questions about velocity, momentum, and safety devices. 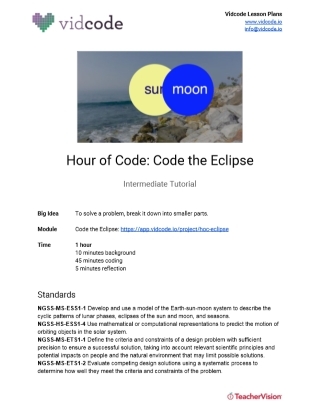 Hour of Code: Code the Eclipse!